An era has come to an end. 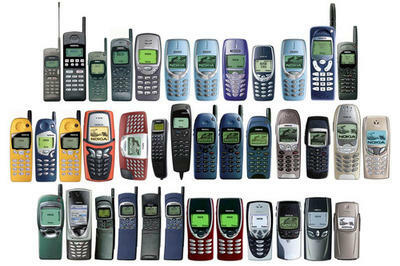 Ever since the boom of cellphones in the mid 1990s, global annual sales charts have been dominated by a single name: Nokia. The Finland-based mobile giant has amassed a legacy of 14 straight years as the number one global provider of mobile telephones. However, 2012 is the year this dynasty comes to a crashing halt as Samsung takes the top spot. In a preliminary report from IHS iSuppli, Nokia's 30% market share from 2011 is expected to drop to 24% this year. Meanwhile, Samsung's market share will climb from 24% last year to an industry high of 29% in 2012. This exchange of stats marks the first time Nokia has not been king of the hill since 1998. IHS's report also suggests Apple will take third place with 10% of the market, up 7 percentage points from last year, followed by ZTE and LG with 6% and 4% of the market, respectively. IHS Senior Analyst of Wireless Communications Wayne Lam claims that Nokia's fall can be attributed to the "live by the smartphone; die by the smartphone" mentality. The company has struggled to gain ground against it biggest competitors in the smartphone market. It had just a 5% grip on the smartphone market this year, vastly lower than Samsung's 28% share and Apple's 20% share. Nokia leaned on sales of basic phones to keep itself in the top position over the last several years, but the company lost ground as consumers flocked to smartphones powered by competing operating systems, such as Android and iOS. "Smartphones represent the fastest-growing segment of the cellphone market—and will account for nearly half of all wireless handset shipments for all of 2012. Samsung's successes and Nokia's struggles in the cellphone market this year were determined entirely by the two companies' divergent fortunes in the smartphone sector." Wayne claims that Samsung's "fast follower" approach of creating dozens of new products a year has given it the momentum it needs while Nokia's Windows Phone devices have not been able to make up for the drop in sales of its Symbian phones. The report also points out Samsung's dominance over Apple in 2012. While the two companies were virtually tied in the smartphone market in 2011, with a 20% share and a 19% share in 2011, respectively, Samsung pulled ahead with a decisive lead this year, with a 28% share, while Apple's share remains relatively unchanged.